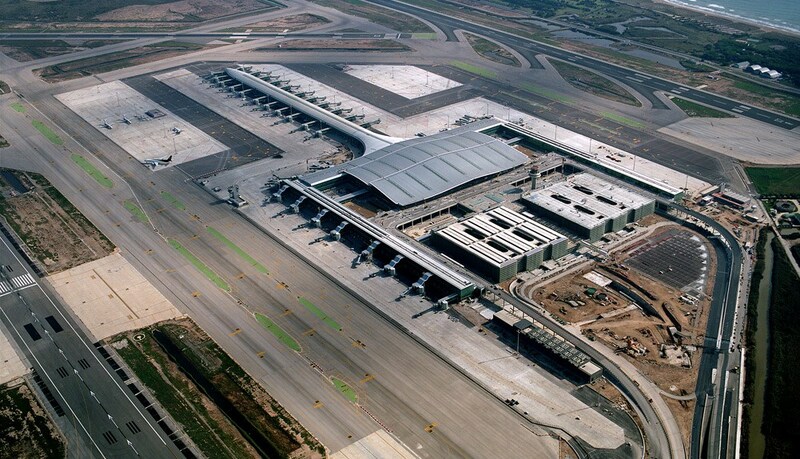 » Portfolio » South platform, north aircraft parking area, phase II, Barcelona airport. Spain. South platform, north aircraft parking area, phase II, Barcelona airport. Spain. The works are for the construction of phase II of the South Platform North Side of the Aircraft Parking Apron in Barcelona Airport. This phase is limited on the north and east sides by the perimeter of phase I of the platform and the inner limit is the service road closest to the perimeter of the New Terminal Building. There are two types of paving, rigid for the aircraft parking apron area (200,000 m²) and flexible for the aircraft taxiing lanes (120,000 m²). 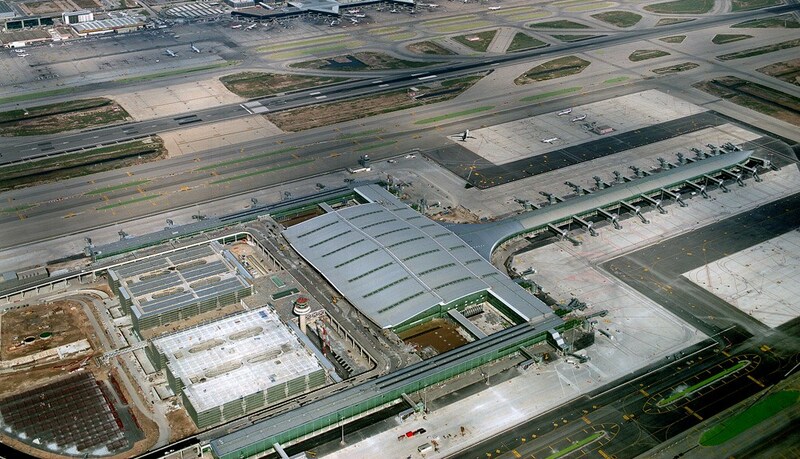 The platform has a drainage network to direct overflow below the new taxiing lanes surrounding it and into the principal channels created during the work of Extension of the Flying Area. This network is arranged to separate rainwater from water contaminated with hydrocarbons. The latter is subject to special treatment by a plant which separates out the hydrocarbons before spillage into the adjacent canals. The construction also includes electrical channelling to the perimeter of the terminal building and to the north remote control area (used to link the lighting towers among themselves) and a distribution network for the supply of fuel by means of hydrants to meet the demand in the new platform of the service area of the new terminal, its remote positions, and its extension to maximum development with execution of the satellite. The structural work includes a stretch of Underground Service Gallery from what is called the North Service Gallery to supplement the access of services to the New Terminal Building.